Los Angeles film fans, mark your calendars. I'm super excited about this. 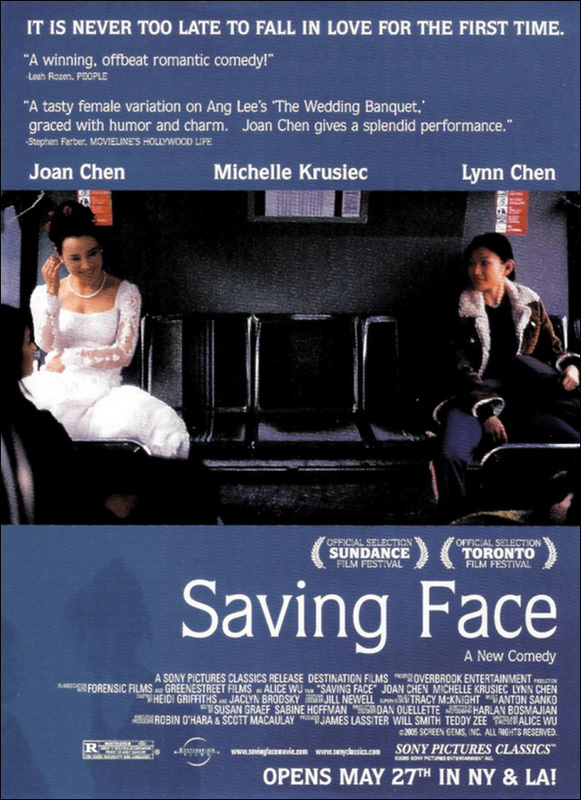 I am please to partner with Visual Communications and the Japanese American National Museum to present a very special 10th anniversary screening of the 2004 romantic comedy/drama Saving Face, starring Michelle Krusiec, Lynn Chen and Joan Chen. If you've never seen it before, or want to revisit this charming little gem with fellow fans and members of the cast and crew, come on out. It's happening Wednesday, November 12 at JANM. An Asian American woman and her mother both find their private lives are becoming a family matter in this romantic comedy-drama. Wilhelmina Pang (Michelle Krusiec) is a surgeon living in Manhattan whose mother (Joan Chen) is eager for her to settle down with a nice man and get married. What Ma doesn't know is that Wilhelmina happens to be a lesbian -- or rather, Ma prefers not to acknowledge it. As it happens, Wilhelmina is looking for someone special in her life, and thinks she may have found her in Vivian (Lynn Chen), a beautiful dancer, but a fear of commitment and a desire to keep her medical career on track is making their relationship problematic. In attendance: Director Alice Wu, Producer Teddy Zee, and cast including Michelle Krusiec, Lynn Chen and Brian Yang. $8 VC members, $8 for JANM members, and $10 non-members. $14 at the door. I love this film, and when we realized it was the tenth anniversary, we just had to commemorate it with a special screening. I have the honor of leading the Q&A with writer/director Alice Wu, producer Teddy Zee and cast members Michelle Krusiec, Lynn Chen and Brian Yang. Hope to see you there! For further information about the screening, and to purchase tickets, head over to the JANM website.